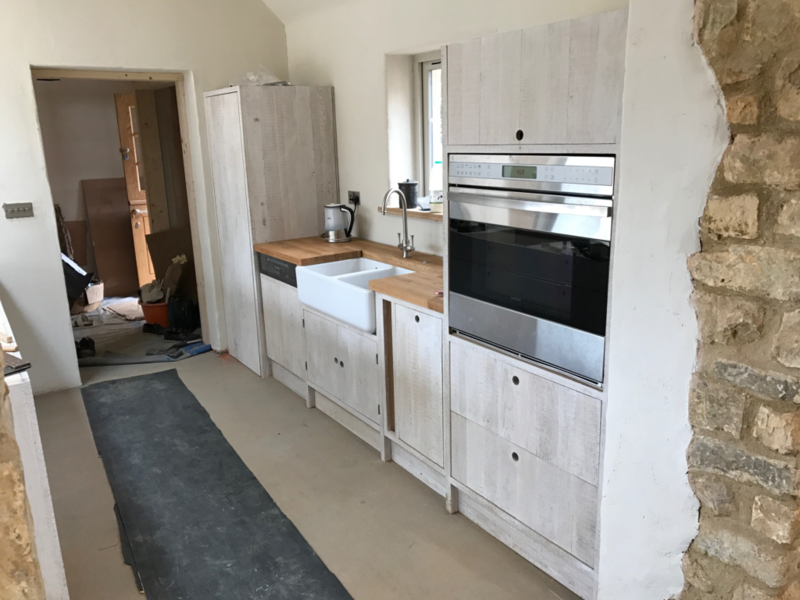 Contemporary rustic kitchen for a modern home in the Cotswolds. 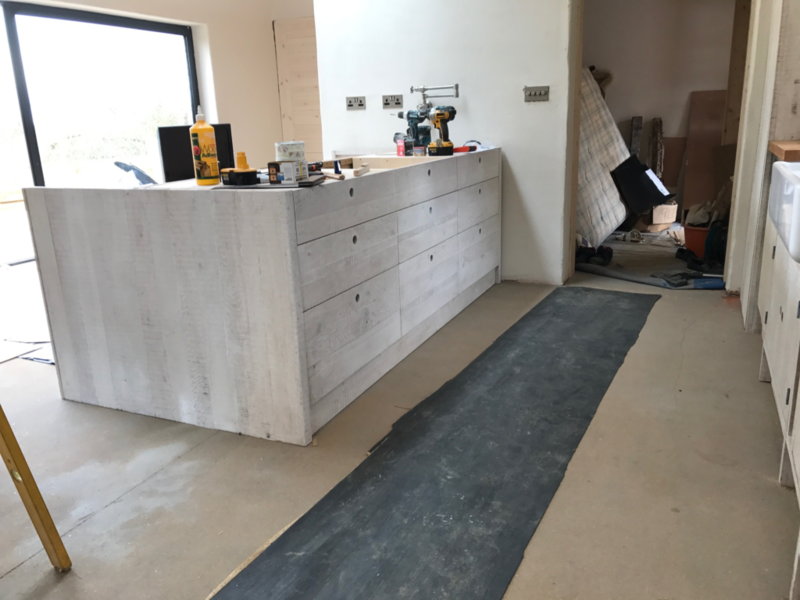 Our client is renovating an old stone barn and wanted to update the property with a modern look in a traditional setting. 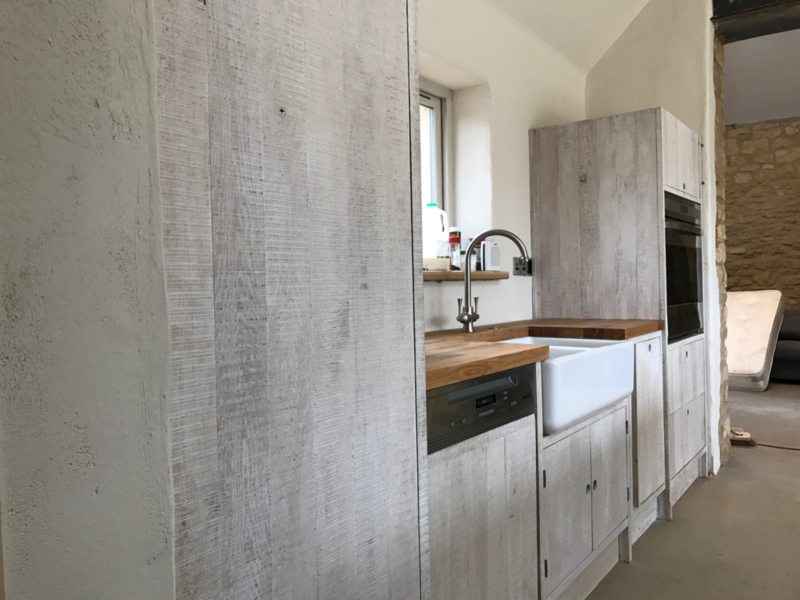 We used band sawn oak with a limed wax finish to create this look. Featuring soft close draws and integrated appliances. All made to our clients specifications, can be made to suit your needs, your sizes your colour your handles.